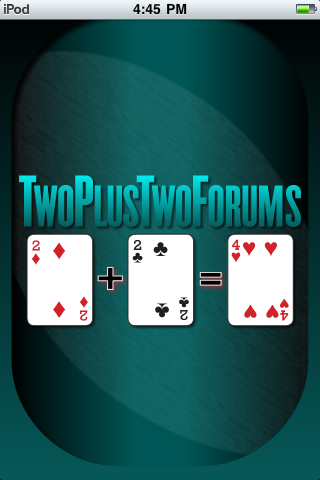 The Two Plus Two Forums, brought to you by the leading publisher of poker strategy books has over 200,000 members and over 100 different poker discussion forums. Learn poker strategy and sharpen your poker skills for tournament poker, Texas Hold 'em, Five Card Draw, Omaha Hi Lo, Heads Up Sit and Go, and more. Plus - poker news, discussions on televised poker events, and dozens of other non-poker related topics. - Updated UI. - Fixed bugs.